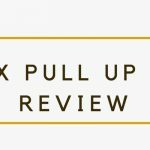 You are here: Home / Reviews / 5 Shoes that will Amp up your P90X3 Workouts! Of course, these shoes will work for more programs than just P90X3. 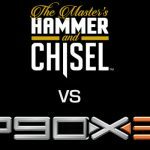 There isn’t much difference in terms of which are the best shoes between P90X3 vs P90X, or even P90X3 vs MAX 30 vs T25. All of these programs are built on the foundation of quick movements that require range of motion and ankle mobility. 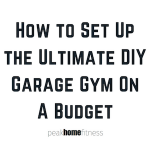 Below, we identify specific characteristics you’ll want to look for in the best shoes for P90X3, and in no particular order, list the five best shoes on the market. Anything that would restrict your ankle (think hightop basketball shoes) is a no-no. Because you jump from side to side, and are constantly flexing your ankles, you want to look for a low or mid top shoe. It goes without saying, but between the high knees, explosive jumps, and for the sheer amount of times you leave your feet, anything weighing you down is going to hinder your performance. Running shoes are generally made for straight line movement, and the sole is usually more lifted in running shoes and are made for propelling you forward. Since you’ll be moving forward, backward, and to either side, targeting a flatter sole will give you more agility and balance. Most shoes have breathable uppers (the area on top of the shoe that covers the foot) made of lightweight mesh. This is important, and a reason to to spend a few extra bucks, because it will keep your feet from sweating and be more comfortable as it holds your foot like a sock, not a box. Even though you’re not running around while you’re doing P90X3, you still need a good shoe that will stop when you want to pivot, and not slip when you land from a jump. Old shoes lose traction and can be dangerous when you are tired and your form tends to slip. Make sure you target a good shoe with tread and traction. This shoe is perfect for most women because it is lightweight, but provides excellent traction and is extremely comfortable during P90X3 workouts. It’s not super flat like a weightlifting shoe, but still flatter than a running shoe that will allow you to effortlessly switch between balance workouts and agility workouts. Most Crossfit shoes will work for P90X3, but some can have too much stability and not enough ankle mobility and range of motion; they’re meant to lock in and stay on the ground. Reebok’s Nano series is also a very good shoe, but the Speed TR Training shoe does a better job at side to side movements and the material isn’t as still as the Nano. These are the shoes you’ll likely see Tony Horton wear in many of his P90X3 workouts, and who are we to question him? The truth is these are great shoes with excellent grip, a lightweight upper, and a flat synthetic sole that are some of the most comfortable shoes we tested. ASICS makes lots of great cross training shoes, and the women’s version is also excellent for this shoe. Inov-8 is lightweight, but has a lot of protection for workouts where you transition from being on your feet to dropping to the floor. The grip is fantastic, and they are super comfortable. There isn’t a ton of cushioning other than in the heel, but you’ll appreciate the barefoot feel when you are exploding in and out of jumps. These are great shoes, and come in at a slightly lower price point than many of the other shoes on this list. They are extremely comfortable yet still have a strong upper, and offer great support while remaining lightweight and providing excellent grip. Be mindful that these shoes tend to run small, so buy ½ size bigger than you normally wear. What shoes does Tony Horton wear in the P90X3 video? Tony commonly wears the ASICS GEL-Craze TR 2.